We all know that maintaining your spinal angle is crucial to having a repeatable golf swing. And spine angle is a key element of your golf posture. That’s why it’s important to perform the following golf postural strength exercise. If your golf postural muscles are unbalanced and/or weak, you really don’t stand a chance at having the consistency on the last few holes that you did earlier in the round. 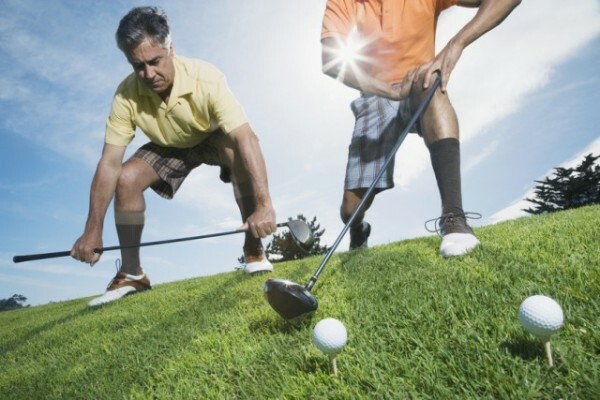 As your golf postural strength begins to wane, you can start hanging more off your ligaments, which can alter your swing mechanics just enough… to be the difference between in the fairway and out of bounds. 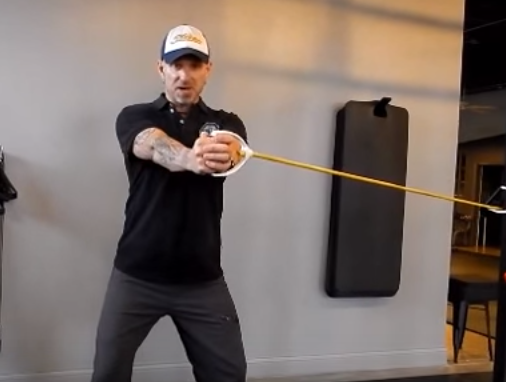 In previous videos we’ve discussed which muscles to stretch, and today we’ll show you exactly how to use a band to improve your golf postural strength and endurance. 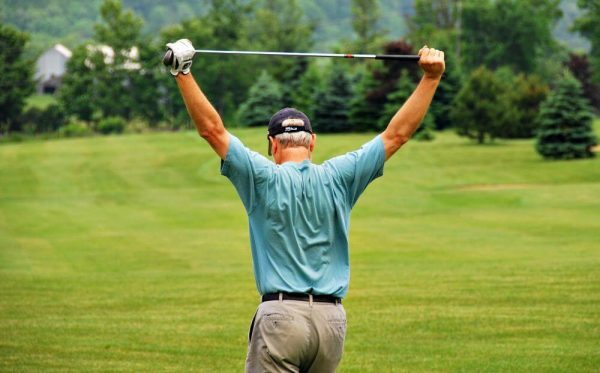 Let’s take care of your golf posture… and Get After Old Man Par. Let’s talk about Power and Distance. After all, I’ve never met a golfer who didn’t love talking about how to crush it further down the fairway. That’s why we’ve got plenty of articles and videos showing you how to do just that. But today I’d like to talk about how tight muscles can rob you of your ability to produce the strength and power you’ve worked hard to develop in the gym. These types of muscles can be called “Power Leaks”. So in this video I’ll show you the two most important upper body golf stretches to ensure this doesn’t happen to you. Test out these upper body golf stretches and let me know how they feel. Let’s take care of those power leaks… and Get After Old Man Par. Like the Pallof Press, this golf rotation exercise actually resists rotation, which will build the stability and strength in your golf swing. Without a properly conditioned core, you’ll be unable to create a stable base upon which to express your strength and power. For The Walkout, we recommend 2-3 sets of 4 reps each side. Three lateral steps out and three back = 1 rep. If you have any questions, leave them in the comments section below. Golf rotation exercises are popular because they look and feel like the motion of the golf swing, at least in terms of the core action. We’ve covered Wood Chop Variations HERE. But today we’ll look at an underappreciated golf rotation exercise that is quite challenging; the Pallof Press. This is actually ANTI-rotation exercises. One of the complexities of the golf swing is that at some moments certain segments of your body are moving while others are static. The ability to stabilize is important and a prerequisite for being able to develop power and to reduce the “wear and tear” injuries that are reaching epidemic proportions in our non-contact sport. On the Pallof Press, we recommend 2-3 sets of 8 reps each side, with a slow tempo of 3 seconds out, pause for 1 second and then return to 3 seconds. Master the Pallof Press before moving onto “The Walkout”,which we’ll cover in Part 2. 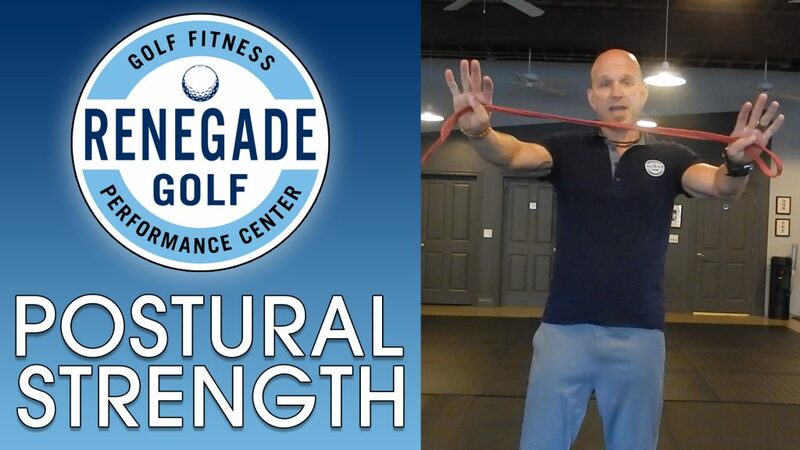 In our last RGT video, we covered the benefits of the Turkish Get Up for golfers, as well as the first portion of the movement. And it builds golf strength, both in terms of the ability to create proper tension while moving and strength endurance… 36 holes – no problem. Let’s get on up… And Get After Old Man Par! The Turkish Get Up (TGU) is among the rare exercises that work on Stability, Mobility, and Strength all at the same time. Of course, these are all critical qualities for a consistent and powerful golf swing. This is why we utilize the Turkish Get Up for golfers here at Renegade Golf Training. 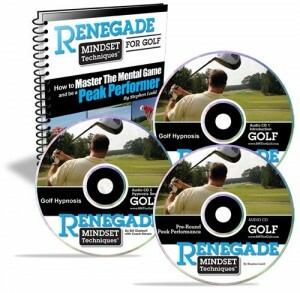 It can be performed, in some variation, by almost any golfer with great benefit. It can seem a bit complex at first, which is why I chose to break it up into two videos. The Kettlebell Swing exercise is an excellent option for building golf power and distance with all of your clubs. 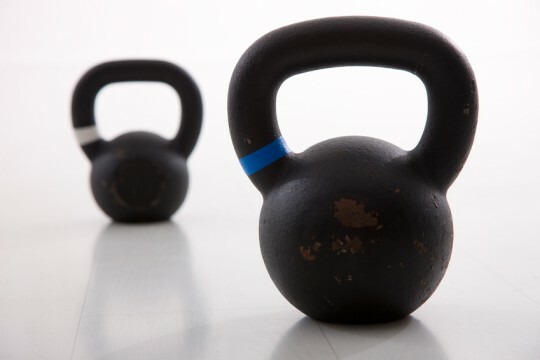 Please make sure that you are confident in the RDL with at least a 70 pound Kettlebell for 3 sets of 12 reps, before you begin to experiment with the Kettlebell Swing. Hinge from the hips – Not a squat! 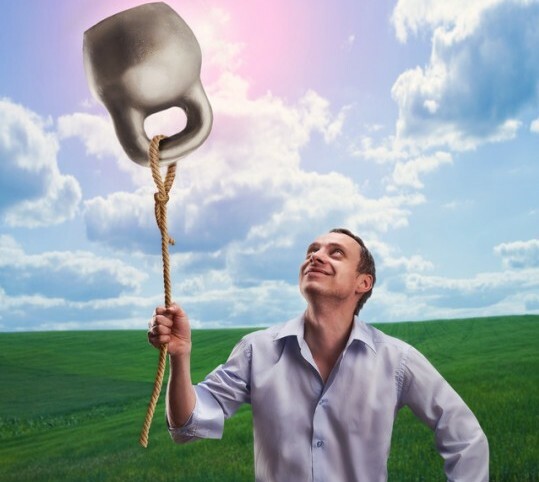 Swing that Kettlebell, build some golf power and distance, and Get After Old Man Par! Sounds like a worthwhile exercise, eh? However, like with any of the bigger lifts, you need to pay close attention to your form, because if you get sloppy, there is a chance for injury. Todays video goes over all of the finer points of performing the Romanian Deadlift for golf and reaping all the benefits, without the risk. Next up is a POWER version of the bending pattern – The Kettlebell Swing. So stayed tuned. Let’s build a strong backside, crush the ball, and Get After Old Man Par! 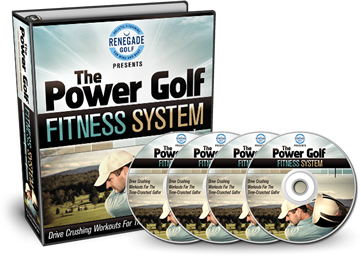 In this video I’ll introduce you to the power plank for golf. 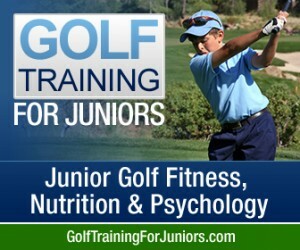 Related: Golf Stability Tests – Are You As Strong As My Sixth Graders? In brief, I feel that few golfers need that much endurance in that particular position, and that there is potential strain on the muscles, ligaments and tendons of the shoulder. Try out the Power Plank for Golf and Get After Old Man Par! In todays video, we’ll quickly review a complete routine of foam rolling for golf. This video will cover the lower body, and the next video will address the upper body. We all recognize that it’s vital for a fluid and consistent golf swing to have hips and legs that are flexible and can move through a full range of motion. Although the various forms of stretching that we teach here at RGT certainly improve flexibility over time, this can be greatly enhanced by using a foam roller BEFORE stretching. And as an extra bonus, it is the best way to loosen up muscles within two hours of hitting the course or driving range. Remember, no static stretching before golf. A great combination is to use the foam roller and then some dynamic stretches – not holding for any longer than 2 seconds. As always, if you have any questions, please leave them in the comments section below. 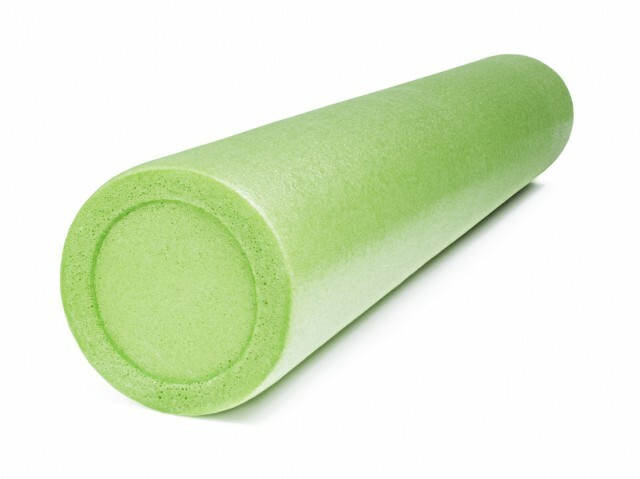 So grab your roller and a tennis ball, let’s do some foam rolling for golf… and Get After Old Man Par!